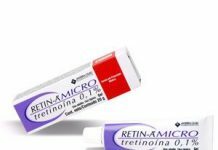 Review of Hyaluronic Acid : An important ingredient in wrinkle creams? 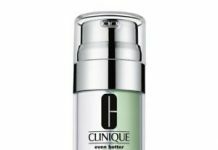 Editor’s note:- If you are looking for a Hyaluronic Acid anti aging cream, I highly recommend LifeCell. Check it out here. Scientifically, Hyaluronic Acid is a glycosaminoglycan, a type of molecule that is partly made of sugars. 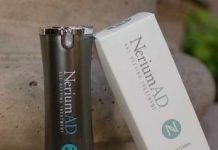 It is a natural structural component of skin and in fact, it is also present in connective tissue throughout the human body. Why is Hyaluronic Acid so famous? The ‘magic’ of the ingredient is perceived to be in its ability to preserve moisture; it’s seen to have a great capacity to hold moisture than other natural polymers. One gram of Hyaluronic Acid can hold six liters of water! 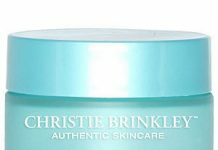 When it comes to achieving a youthful skin, this concept is crucial because one of the hallmarks of young and healthy skin is its moisture content. As you age, your skin loses moisture, resulting in a loss of firmness. This does not imply that everyone’s skin becomes dry as his or her age advances; it just implies that the skin is lacking the amount of moisture it had in its youth due to factors that cause skin damage such as UV radiation. Don’t be surprised that you can still have oily skin in your 60s or 70s!. Hyaluronic acid can enhance the quantity and quality of your skin’s moisture and strengthen its resistance to damage; that is, the outer layers of your skin. 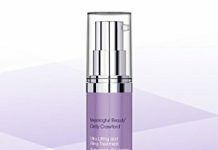 Healthy barrier looks and feels softer, smoother, and plumper— all pillars of healthy-looking skin! Surprisingly, hyaluronic acid offers more than just a healthy-looking skin—it offers many additional advantages go beyond just a more youthful look. Everyone knows something about things that cause skin such as sun damage. 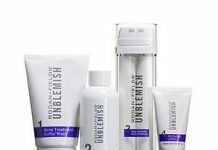 Also, acne, sensitive skin, and rosacea, can accelerate skin damage. Therefore, treating your skin with skin-identical ingredients, such as hyaluronic acid can effectively help in fixing, or at least reducing, those effects, and this implies that this ingredient is helpful for all skin types. 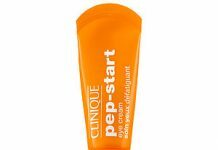 The product’s lightweight texture is not a big deal for oily skin. 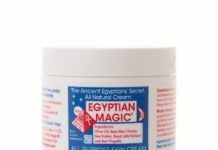 It is also gentle enough to be applied on sensitive skins without fear of irritation. 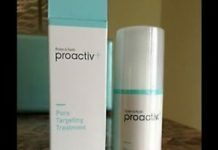 Even better: this product also offers antioxidant defense against free-radical damage and minimizes inflammation. Besides seeing hyaluronic acid listed as an ingredient in most skin care products, you must have also seen an element named Sodium Hyaluronate. 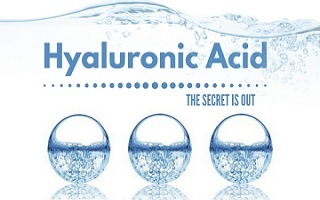 Note that there exists a connection; chemically, Sodium Hyaluronate that is obtained from hyaluronic acid—and it has a special benefit for skin as compared to “regular” Hyaluronic Acid, although both are perfect skin care ingredients. Sodium Hyaluronate’s primary strength is its molecular size. In the process of manufacturing Sodium Hyaluronate, its molecular weight reduces due to the elimination of proteins, lipids, and nucleic acids. Eliminating these compounds results in the Sodium Hyaluronate having smaller molecule than hyaluronic acid. That implies that the Sodium Hyaluronate can penetrate the skin quickly than the hyaluronic acid when applied topically. This is the main reason Sodium Hyaluronate is a significant asset in skin care. For Hyaluronic Acid to penetrate past the skin’s surface, it must be bioengineered to reduce its molecular weight. Some brands do this; others don’t; and still others won’t tell you if they do or not, leaving you to guess. Most products that contain Hyaluronic Acid are categorized as moisturizers or serums. Keep in mind that even if a product contains Hyaluronic Acid, Sodium Hyaluronate, or both, you must check the other ingredients as well. We have said this over and over again that you should shy away from irritating fragrance ingredients, fragrant plant oils, and drying alcohols. Such things can undo the great work hyaluronic acid can do for your skin! 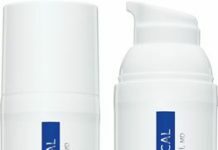 We recommend LifeCell anti aging cream, based on Hyaluronic Acid and many other powerful ingredients. Check it out here. It is important to note that both Sodium Hyaluronate and Hyaluronic Acid add moisture to your skin and help it to maintain that moisture from skin’s uppermost layers down to its dermis layer. For this reason, these ingredients can have the effect of plumping wrinkles and fine lines temporarily. When applied, neither Sodium Hyaluronate nor Hyaluronic Acid can have the same effect on your appearance as dermal fillers, despite the advertisements from various cosmetics brands, which imply these ingredients can serve as a substitute for fillers. This doesn’t mean they aren’t helpful in eliminating wrinkles; it’s that injecting dermal fillers goes beyond what topical application of creams can do regarding filling deep wrinkles. However, dermal fillers have their own side effects as well. When it comes to skincare, Hyaluronic Acid and Sodium Hyaluronate are effective in eliminating the fine lines that appear in aging skin, and can help you to protect the skin from further damage. When these ingredients are combined with an anti-aging routine that includes sun protection, you will have younger and supple looking skin for sure!